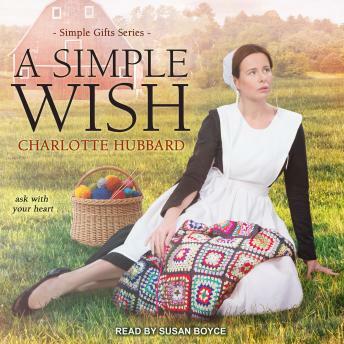 The Amish residents of Willow Ridge share their talents at the Simple Gifts crafts shop-and share the blessings of faith, hard work, and love with their community-even when family secrets bring unexpected challenges . . .
Making rugs for Simple Gifts has taught Loretta Riehl that an unassuming pattern can reveal surprising depth. People, too, have a way of defying first impressions. Drew Detweiler came to Willow Ridge under a cloud, but the handsome craftsman has gained the community's respect for his upholstery skills and commitment to making amends for his mistakes. As her new brother-in-law's twin, he's joining the family for dinners and Sunday visits at the Riehl house, and Loretta can't deny enjoying his attentions. If only her dat were willing to let a little joy into his life. Cornelius Riehl grows more stern with each passing day, and Drew suspects there's more to his moods than missing Loretta's late mamm. Hoping to fulfill Loretta's wish to live in a peaceful, happy home again, Drew sets out to learn the truth. It's a journey that will bring to light painful realities-but also the chance to forge a new, honest, and loving future together.